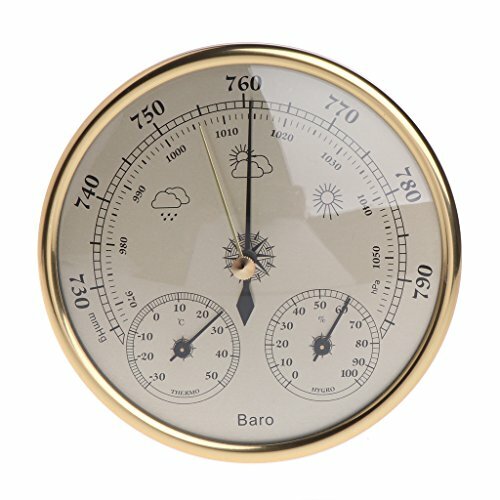 This product is used to measure the changes of the parameters of the temperature, humidty, atmospheric pressure. According to the variation tendency of the environment's temperature, humidty and air pressure, it can predict the weather accurately. Thus, it can be a multifunctional household weather forecasting instrument. Standard measuring range, predict the weather more accurately. Lightweight and easy to install, suitable for hanging or placing on a surface. View More In Indoor Thermometers. If you have any questions about this product by Padory, contact us by completing and submitting the form below. If you are looking for a specif part number, please include it with your message.